Next pancake breakfast fundraiser is scheduled for Sunday, March 31, 2019. Start your morning off with a hot breakfast. Thank you for your support. 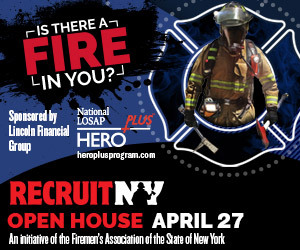 Rombout Fire Company to participate in statewide RecruitNY weekend on April 27. The annual elections of officers of the Rombout Fire Company in Fishkill were held on December 6, 2018. The annual elections of officers of the Rombout Fire Company in Fishkill were held on December 7, 2017.